Buy Makeup Studio Eyeliner online at Boozyshop, the makeup webshop! Do you want to enchant everyone around you with your eyes? Then the perfect eyeliner should not be missed in your makeup stash! Whether you go for a subtle line on your waterline or the perfect wing; with eyeliner you can effortlessly draw attention to your eyes. The Amsterdam brand Makeup Studio offers a wide range of beautiful eyeliners, both in the form of a pencil and liquids. And all of high quality! Go check it out, babe! Makeup Studio has developed a line with retractable eyeliners that is versatile and super-intensive! The Eye Definer collection guarantees you a long lasting result in combination with an intense color. Because the pencil is retractable, you never have to sharpen and the tip is always fine, so you can very accurately apply your eyeliner. The Eye Definer collection consists of different colors, from intense black to chocolate brown. A real must-have for your stash! In addition to the Eye Definer collection, Makeup Studio also has a lot of great eyeliners for you in its assortment. Take for example the Makeup Studio Pencil Creamy Kohl, a pencil eyeliner with the perfect matte finish. Naturally, the liquid eyeliner should not be missing from the assortment; the Makeup Studio Fluid Liners ensure with their precision brush that you can create a spectacular wing in your eyes. Do you prefer a creamy formula? That is what Makeup Studio has in house! 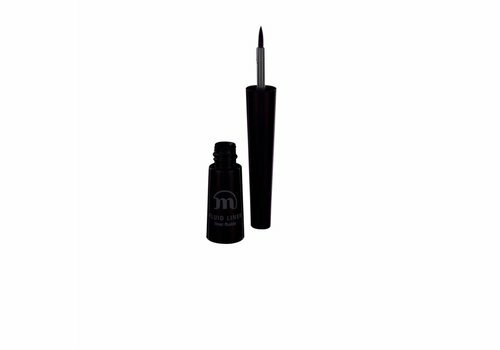 The Makeup Studio Cream Eyeliner offers you an easy substance with a super-fine brush, which also does not stain and lasts for a long time! So plenty of choice, now it's up to you to decide which is your all time favorite! Order Makeup Studio Eyeliner? Shop quickly at Boozyshop! Have you already figured out which look you would make with the perfect eyeliner? Beautiful, because you can order the Makeup Studio eyeliners at Boozyshop now! What is really nice is that when you order for more than € 30, you do not have to pay any shipping costs! Time to shop, beauty!